"CHARMING, FUN-FILLED, DELIGHTFUL, AND ENTERTAINING!" A blue whale named Whaley sets out on an adventure to visit and make friends with many different whales. As Whaley's exciting journey begins in the mysterious sea, he found Owen the Orca, and learns what Orca's can do. Whaley also meets Harold the Humpback Whale, and learns that Harold loves to sing. While Whaley continued his journey, he was happy to see Gary the Gray Whale swimming with his mother and learned how Gray Whales find their food, without having teeth. In addition, Whaley learns how much Brody the Beluga Whale, who is a white whale, loves to swim in the Artic's cold water. Whaley discovers that Belugas live in pods, have lots of teeth to eat a variety of seafood, and like to talk to each other. When Whaley saw Sammy, Whaley learned that Sammy loves every ocean, except the Artic and Sammy the Sperm Whale not only has a large brain, but will weigh up to forty-five tons when he is all grown up. As Whaley's exploration of the ocean continued, he learned that Walter the Whale Shark is really a type of fish, who will weigh 47,000 lbs when he grows up. Whaley was overwhelmed with joy to learn many things about the new friends he met. This delightful adventure, written by Alexander Luke, a five year-old who dedicated this intriguing book to his father, fills the exciting pages with wisdom and a creative imagination. The colorful illustrations light up the pages, and the fun-filled story is as charming and delightful as 'Free Willy.' This fascinating story invites young children to tag along with Whaley as they learn about the deep, blue ocean, a beautiful home for many different sea creatures. Exciting, fascinating, refreshing, and educational. Highly recommended to teachers, parents, and child-care providers. 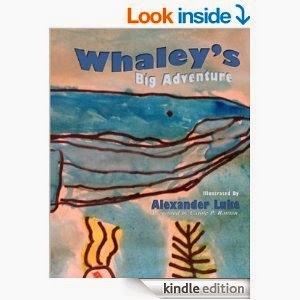 This book was written and illustrated by 5 year-old Alexander Luke and presented by Award-Winning author Carole P. Roman, who is proud to introduce her grandson, Alexander Luke's debut book, "Whaley's Big Adventure." Alexander Luke dedicated this book to his daddy, Bestselling author, Michael Phillip Cash. 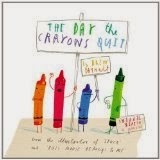 ***5 Star Review~~"THE DAY THE CRAYONS QUIT"
Award-Winning writer/director of film and TV Drew Daywalt, and New York Times Bestseller Oliver Jeffers, deliver an entertaining children's story that is playful, and packed with fun. This delightful story will have children laughing, reading, and sharing their own thoughts, while giving crayons a whole new meaning. The colorful, stunning illustrations come to life as each colorful crayon gives their complaint, while protesting about their color. Orange and Yellow are not speaking to each other for their own reasons, Beige doesn't want to compete with Brown, Blue is tired of coloring lots of water, and it seems that only Green has no complaints. What complaint does Black have, and will Orange and Yellow be able to compromise? A colorful solution must be met as all the complaints pile up, so that the crayons never think about calling it quits again. Poor Duncan just wants to color, and he wants his crayons to be happy. Does Duncan solve all the crayon problems, and get an A+ for coloring? There are several Dear Duncan letters to solve as children giggle their way to the end. Fascinating, inviting, and entertaining throughout. Highly recommended for teachers, parents, and child-care providers! "A REMARKABLE STORY FILLED WITH SENSUAL DELICACIES THAT ARE BRILLIANT AND ASTONISHING!" At age seventeen, a young princess becomes traumatized as she goes into shock, after discovering the murder of two people. Although Catherine lived the royal life of fame and riches, she also lived a dark life of misery that haunted her everyday. Why did Catherine hate her biological father, and who killed her mother, and step-father? Who killed the maid, and what happened to Catherine's best friend? What secret did Catherine hide, about the man she always loved, and why did she severely punish him? Did Jackson love Catherine, and what did Malcolm learn, while chained to a wall in the dungeon? What did Catherine tell the people of Cannary about her unborn child, and was it the truth? Why did Catherine name her daughter Rose? What did Mary do to Malcolm on the evening of the Royal Ball, and who did she seek revenge for? Why did Catherine marry her bodyguard, and why did Rose ask her father to return to the castle, after ten years passed by? Amy Croall delivers a Masterpiece of love, hatred, suspense, and tragedy that's made for the big screen! The compelling story draws the reader in like a magnet, right up until a surprising finale. After a few chapters of passion, danger, and intense suspense as you sit on the edge-of-your seat, the reader can feel the emotions of unforgettable characters as they come to life. The setting fits like a glove as the colorful curtains open, while the author takes you through an intriguing story as thrilling as 'Gone With The Wind!' Will Catherine survive to see her daughter's wedding, and what secrets did Malcolm reveal to Catherine and Rose as they sat in a prison cell together? 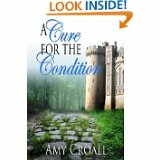 "A CURE FOR THE CONDITION" is grandly entertaining, packed with suspenseful twists-and-turns, and is as exciting and addicting as "The Courage To Love!" "A MESMERIZING MASTERPIECE OF THE UNEXPECTED!" Angie and Will had brutal work schedules with her on the night shift as an ER Nurse, and Will working days in real estate. Their work responsibilities began to take a toll on their relationship, so Angie planned a relaxing fishing trip, something Will enjoyed and Angie thought it was the perfect idea for their upcoming anniversary. Suddenly, Angie's perfect plan turns into an unexpected nightmare as she discovers that her and Will became suspects in a murder. The investigation begins as lethal pieces to the mysterious puzzle fall into place. Who will be found guilty among everyone aboard Little One, and was Will involved in the horror? Who could Angie trust, after discovering evidence of blackmail, kidnapping, and murder? Who will be next on the killer list, and is justice served? 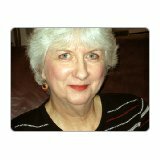 Mystery author, Cindy Davis delivers a compelling murder mystery with exciting twists-and-turns as the engaging story keeps you guessing, until the surprising end. This page-turner is one of those thrillers that's not only addictive, but very difficult to put down, until the very end. 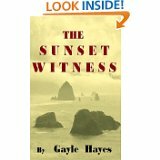 The dramatic setting fits like a glove, the chilling story grabs your attention immediately, and the characters come to life. Find out who gets caught at the end of the terrorizing hooks on the Lake Winnipesaukee fishing excursion that becomes deadly! 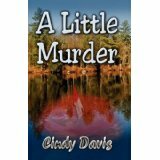 "A LITTLE MURDER" is a suspenseful whodunit, as chilling as The Glass House, and as entertaining as Presumed Innocent. Brilliant, engrossing, riveting, and highly recommended! "AN INTENSE THRILL RIDE OF THE UNEXPECTED!" "A LONG JOURNEY FROM DISASTER TO TRIUMPH!" A young girl from Louisiana learns quickly the true definition of the words pain, and suffering. As a child, at the hands of her mother, she experiences abuse, sadness and confusing situations. As an adult, she struggles with violence, a devastating divorce, and temporary loss of her children. The same woman walked among the rich, but only found betrayal. In desperation, she searched for sanity, but only found hopeless despair. After fifteen years of Bible study, nothing prepared this woman for the life she lived. Yet, the same woman walks through a crucible of fire, becomes a stronger person, then finds peace and love. 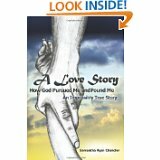 I highly recommend this uplifting book to all readers, who enjoy inspirational stories, based on real life experience. 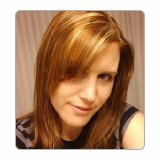 Samantha Ryan Chandler penned an incredible, emotional story in which she felt she was against all odds, but survives through shattered dreams. At the end, she finds the strength to get her through a web of horror and darkness that not only lights up her own life, but the life of others who walked the same road. She encourages others to seek God's unconditional love and conveys on how to find hope, while inspiring others to hold on to the light of peace and tranquility. "A Love Story:How God Pursued Me and Found Me" is as powerful as Letters To God, as heart-wrenching as Nobody's Child, and as touching as Pay It Forward, with Helen Hunt. "A REMARKABLE EPIC STORY OF COMMITMENT, COURAGE, AND SACRIFICE!" As we step out of 'Virginia's War' and step into Engaged In War, we continue to follow the personal journey of Will Hastings. A Captain, a Doctor and a man torn to pieces emotionally over the death of his brother, his responsibility in saving lives, and haunting memories of isolation from family and friends before the war. Jack Woodville London delivers a compelling story of choices, conflict, and survival as we witness the powerfully moving and heartfelt life of Will Hastings that would light up a Movie screen. The colorful description of Normandy and its culture painted by the author is breathtaking as well as unforgettable characters as we become fascinated with the horrific impact of war on Will and society. Mr. London not only takes us to the battlefields of World War II, but also through heart-wrenching constraints, restrictions, and tragedy. What happened to Will's brother, and can Will fit the pieces to the puzzle? This thrilling novel with explosive action is as mesmerizing as 'Virginia's War' and contains electrifying twists-and-turns page-after-page. 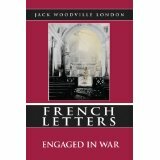 "French Letters:Engaged In War" is as entertaining as GONE WITH THE WIND, as riveting as SAVING PRIVATE RYAN, and as heartwarming as FORREST GUMP.